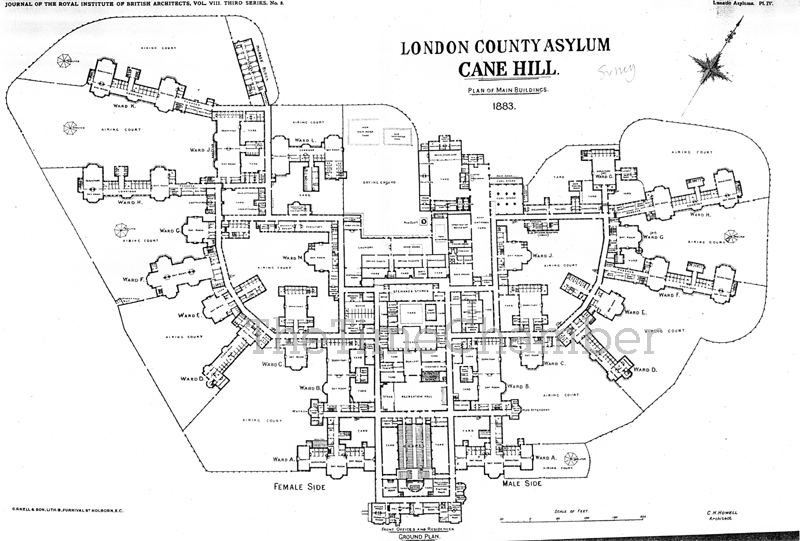 The two plans shown show how the hospital was extended when London County Council took control of the hospital in 1888. 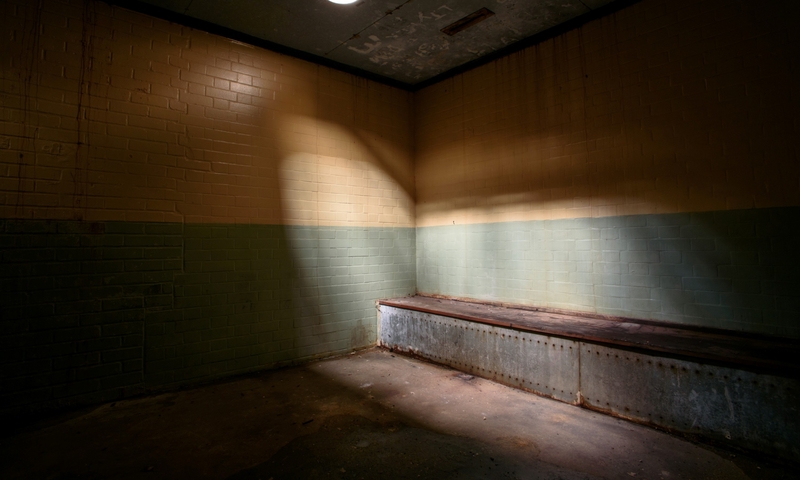 The male side received two large three-storey pavillions and two smaller wards. 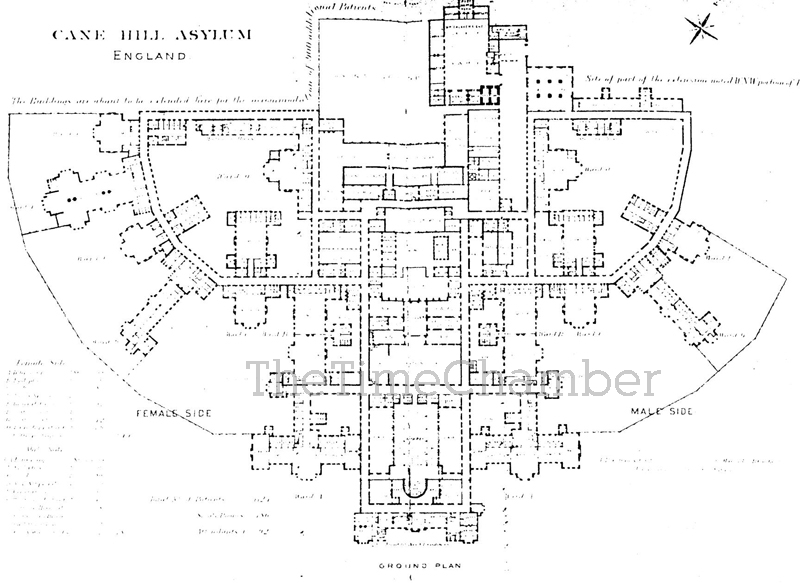 The female side received two large three-storey pavillions, three smaller wards and a nurses block. This extension allowed the hospital to double the population.